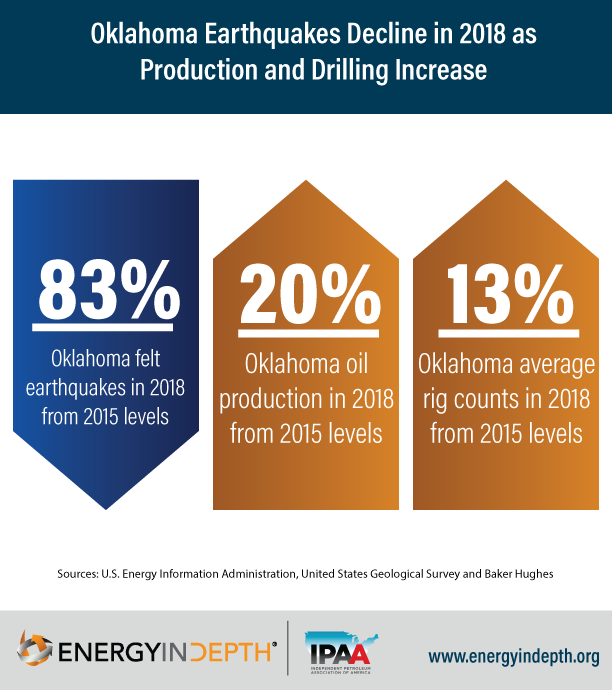 Earthquake activity in Oklahoma declined for the third straight year in 2018 even as oil and natural gas development increased in the area, according to the latest data from the U.S. Geological Survey. As EID’s updated infographic shows, seismic activity decreased by a whopping 83 percent – falling from a peak of 887 earthquakes in 2015 to 154 in 2018 – at the same time that oil production and rig counts grew by 20 percent and 13 percent, respectively. 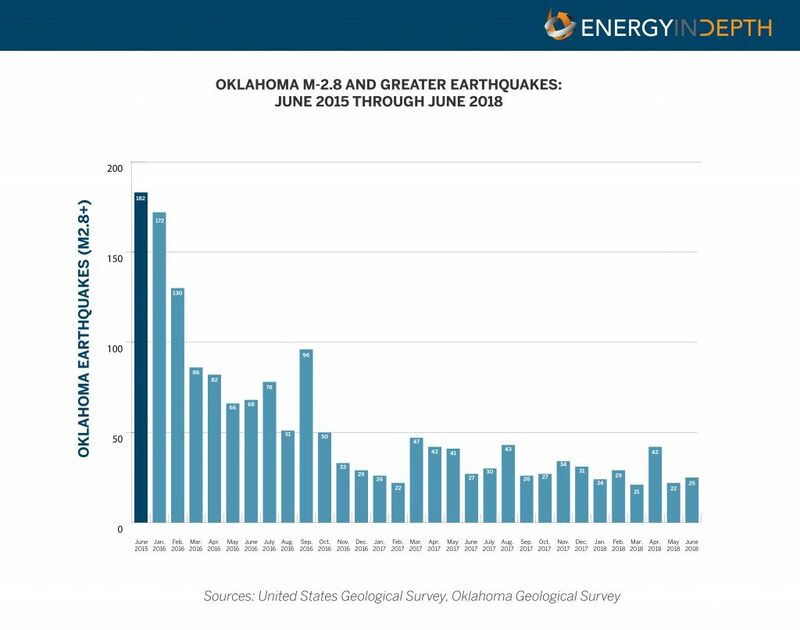 In fact, the number of “felt” seismic activities – magnitude 2.8 (M-2.8) or greater – fell from a monthly average of 162 in June 2015 to 25 in June 2018. How can seismic activity decline when production is increasing? Importantly, researchers predict that this trend of declining seismic activity will continue. Previously, this same research team accurately forecasted a 58 percent decrease in M-3.0-or-greater earthquakes from 2016 levels in 2017.